FreightWatch recently released their quarterly report on cargo thefts. 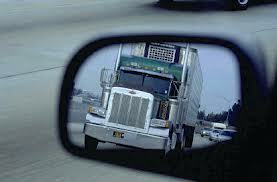 In the quarter from February-April, 178 cargo thefts were reported in the United States. That’s a 25 percent drop from the previous quarter (November-January), but the average value per load soared 98 percent to $245,101. Cargo loads are becoming a lot more valuable on a per load basis. Food and drink loads remain to be the most targeted cargo by thieves, making up 17 percent (31 thefts) of the incidents in the three-month period. Targeted products included meats, snack foods, carbonated drinks and prepared foods, states FreightWatch. Electronics made up the second most stolen load type with 27 thefts, 15 percent. Televisions, smart phones, computers and computer accessories are all included in this section. This is a common target due to the value of the cargo. Home/garden loads were equally stolen according to the report, accounting for 15 percent of the total (27 thefts), made up of loads of appliances, home décor and cleaning supplies. Loads of metal made up 11 percent, building/industrial 10 percent, clothing/shoes 8 percent, auto/parts 6 percent and alcohol/tobacco 6 percent. Five states accounted for more than 75 percent of all cargo thefts in the U.S. Florida, California, Texas, Georgia and Illinois accounted for 3/4 of all cargo thefts in the report. Florida experienced the most thefts in the quarter with 38, totaling 24 percent of all thefts. Last quarter, California ranked first with 77 total thefts. This quarter, California accounted for 36 this quarter (23 percent), a total difference over 50 percent. Texas had the third most thefts with 26 (16 percent of the total), while Georgia had 21 (13 percent) and Illinois saw 12 (7 percent).